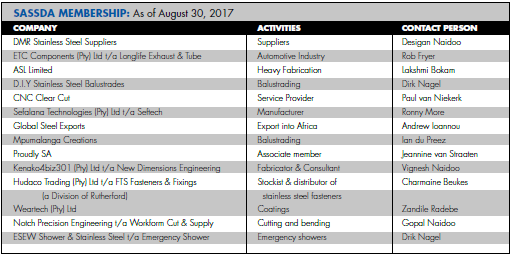 The Manufacturing Indaba was an exciting two days of presentations, talks and panel discussions. I decided to attend because I wanted to see how our stainless steel industry needs to adapt to ensure that we reverse the contraction seen over the last few years, to allow us to become a thriving, growing industry. From the dti’s keynote presentation, it was clear that the history of economic development strongly suggests that it is only through an industrialisation pathway that countries can propel their economies onto a course of longterm, sustainable growth. When describing stainless steel fabrication, one often uses words like “power”, “reliability”, and “resilience”. “Impressive” is frequently a good choice, too. 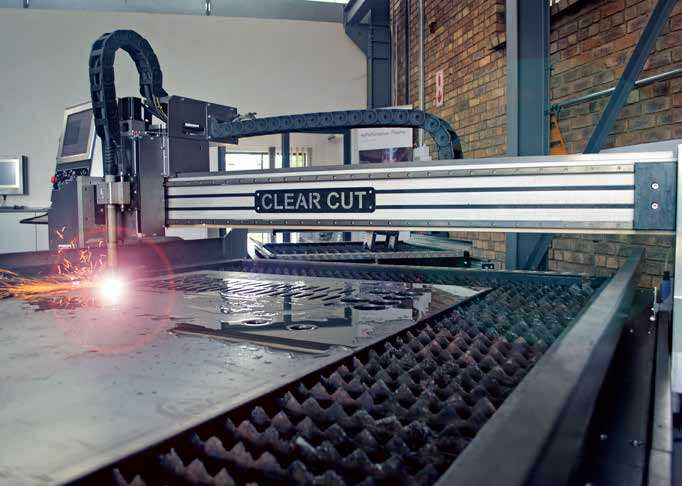 All of these apply to CNC Clear Cut’s products, and yet, standing in their demo room, watching their machines in action, the first word that springs to mind is “cool”.At the end of May, sassda held its Strategy Review Workshop. The event was attended by sassda employees, Main Committee members and consultants to the association. The aim of the day was to identify threats and opportunities in the global and local environment that have an impact on South African industry and the stainless steel sector in particular. My responsibilities are varied. I oversee the electrical division. Anything to do with manufacturing, installation, commissioning, wiring, that sort of things. I brief the assembly crews, make sure they have the right technical drawings and supplies, make sure they understand what they’ll be doing, and oversee their work. Sassda are collaborating with the Drakenstein municipality in the Western Cape to obtain South African costs for the installation of stainless steel water pipes. The project consists of two installations – the first being the bulk water system, which is being upgraded with stainless steel under the road leading into a housing estate in the city. The second is the use of prototype 0.3mm continuously corrugated pipe which is being installed within the housing development. 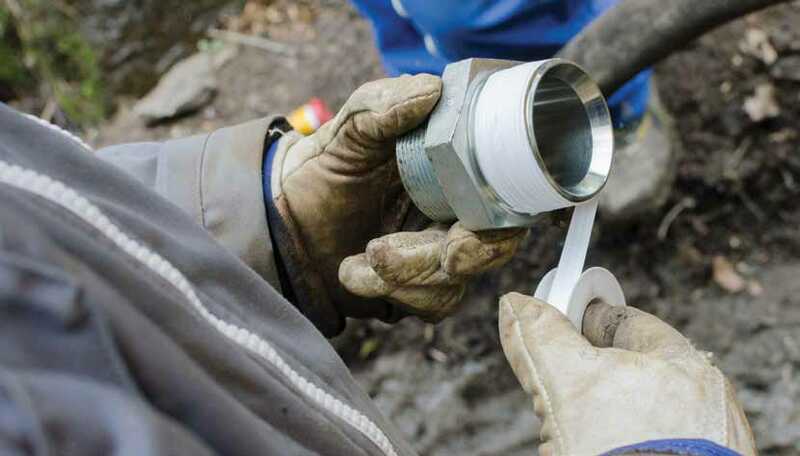 Many cities and municipalities discount the use of stainless steel for water pipes due to the initial cost, however, a full analysis proves that not only is it the best material of choice, but when factoring in the total life of the project it is also a very cost effective solution. 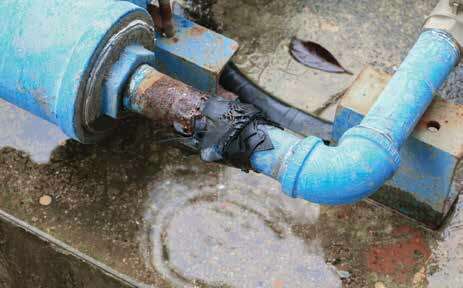 Case studies show that stainless steel can reduce leakage in water pipes by up to 100%. 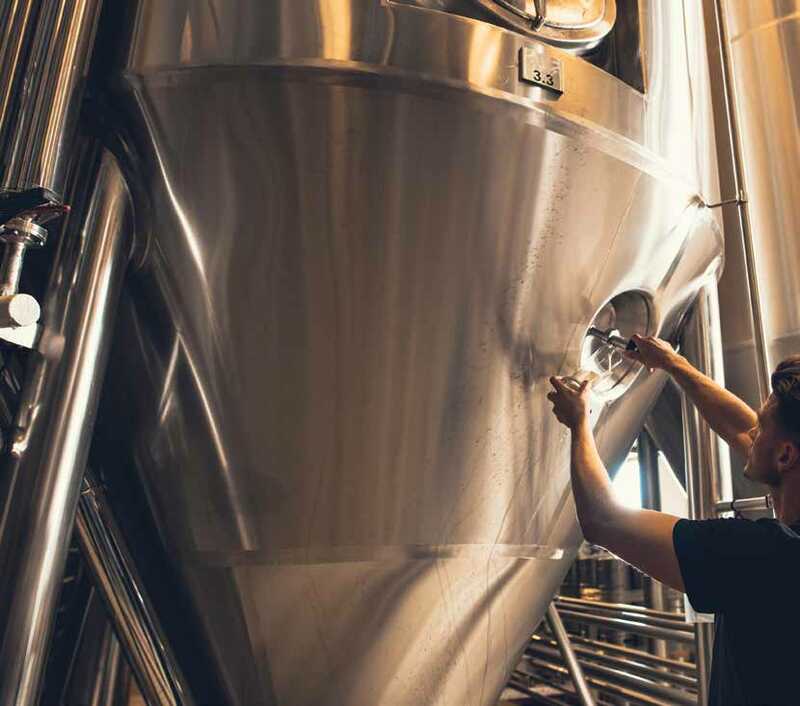 Growth in the hand-crafted beer market is making an impact on the local stainless steel vessels industry, with craft beer volumes poised for growth and opportunities for the manufacture of local microbrewing kits. Research and Markets’ April 2017 report stated that the global craft beer market is expected to reach $502.9 billion by 2025, with the Middle East and Africa poised to grow at a compound annual growth rate of 28.9% owing to the increasing penetration in South Africa. Proudly South African, the country’s buy local advocacy campaign, has as its slogan ‘Buy local to create jobs’. 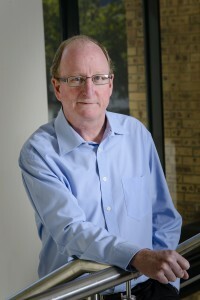 At a time in our recent history when unemployment levels are at their highest, it is sometimes hard to think you can make that difference, when industries such as poultry, textiles – and steel, including stainless steel, – are losing thousands of jobs per month to dumping, overseas government subsidised products, and tariff agreements which favour cheap imported goods. Sassda recently hosted a toplevel Africa Rising Market Intelligence Briefing for its members, which revealed thatAfrica still has what it takes, with a healthy recovery in growth rates predicted for the Sub-Saharan African region of 2.6% in 2017 and pockets of above average growth in countries such as Cote d’Ivoire (7.3%), Tanzania (7%) and Kenya (5.5%). 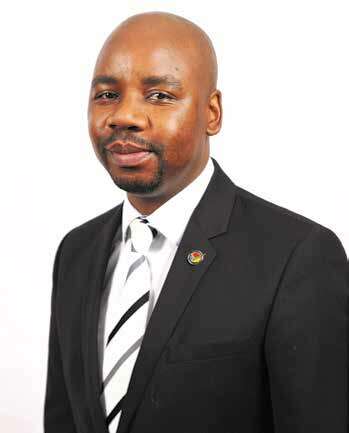 To equip its members to take advantage of this, sassda provided a range of key insights and tips on how to leverage the ‘African opportunity’ and bypass the lack of information and labyrinth of red tape that thwarts many export and investment opportunities before they have even begun. 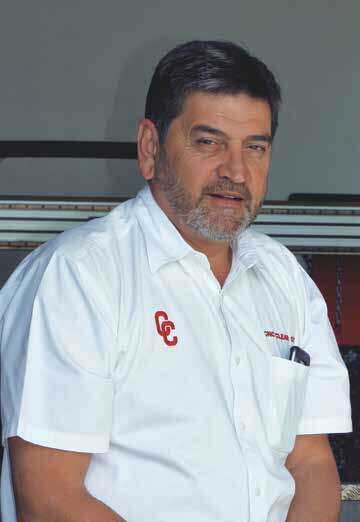 Stainless steel Magazine spoke to Paul van Niekerk the chief executive officer of CNC Clear Cut. Paul is the third of five children. He comes from a technical background as a fitter and boiler maker turned SAAF Qualified Aircraft technician for Puma Helicopters and has been the owner of steel related manufacturing businesses for the past 25 years. 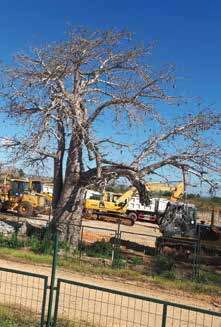 In 2007 an opportunity for a contract requiring some major production equipment presented itself. It was recommended that I get a CNC plasma system for the project. Not having any idea what that was, I contacted a company requesting a quote. 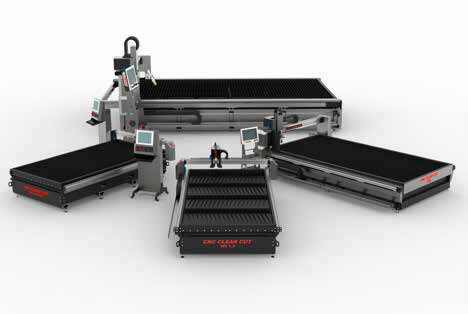 The sales technician gave a basic introduction to their products, I was hugely impressed and could see many more opportunities with this CNC plasma system.